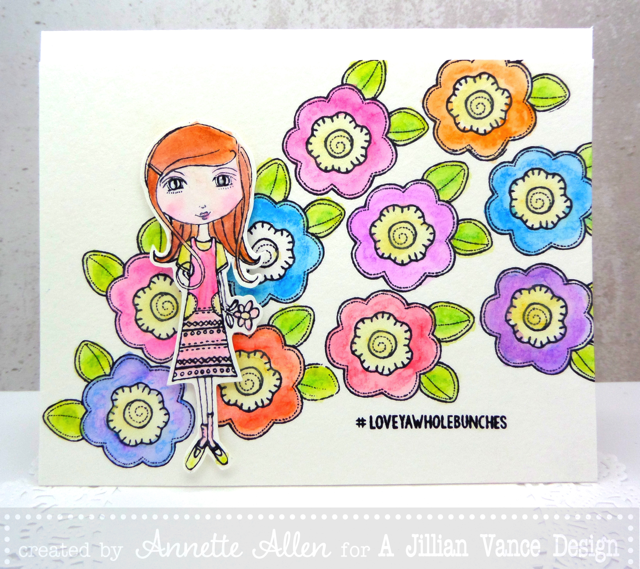 Annette Allen here with you today to share some watercoloring. 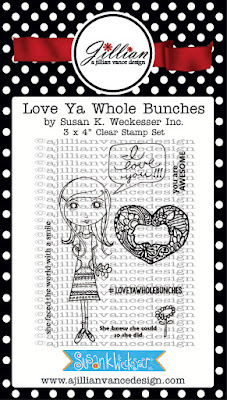 Love Ya Whole Bunches stamp set by: Susan K. Wechesser, Inc. 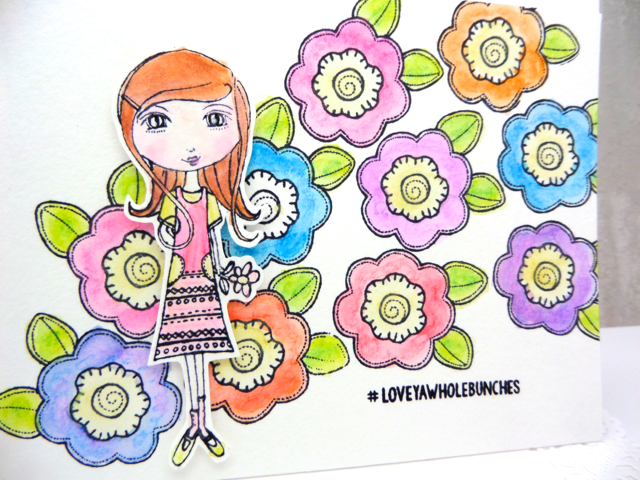 I colored with Prima Marketing Inc. Watercolor Pencils (Spring & Fall and The Basics) color collections. Don't you just love this sweet image? I love how awesome these two sets combined together make a sweet card. Nothing like sweet images to color and with watercolor. This was a simple card to make. 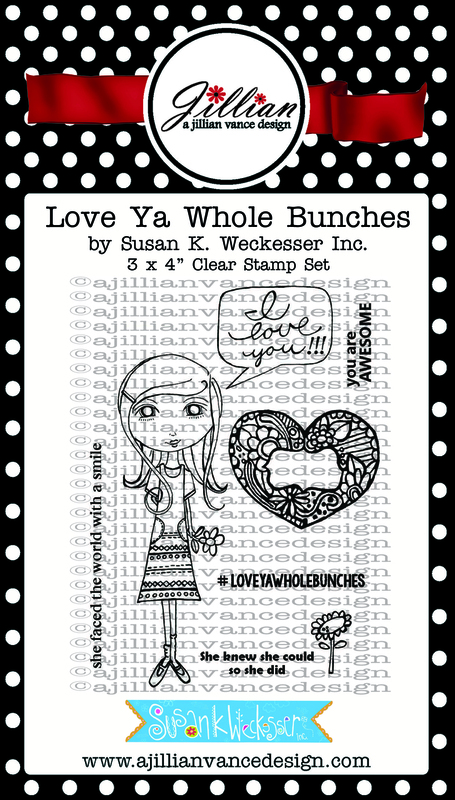 Don't be afraid to mix and match your stamp sets. 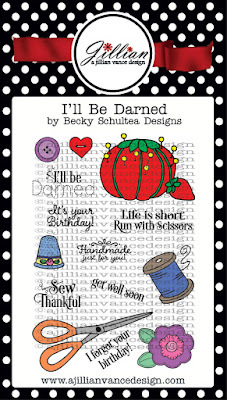 Annette, I LOVE this...so fun and colorful! I agree with Amy! So cute!! Oh my goodness Annette, how cute is this card!! This little lady looks so sweet among the flowers! Such a FUN card Annette!!! !